Monterrey Bay. It’s like the Grand Canyon, Yosemite Park, Interlaken Switzerland and so on; it leaves a lasting impression on you. I live in southern California, and love the constant mountain views, close proximity to Malibu, Angeles Nation Forest, and other natural wonders found around here. But, my first experience of California was Monterrey Bay, and nothing will come close. 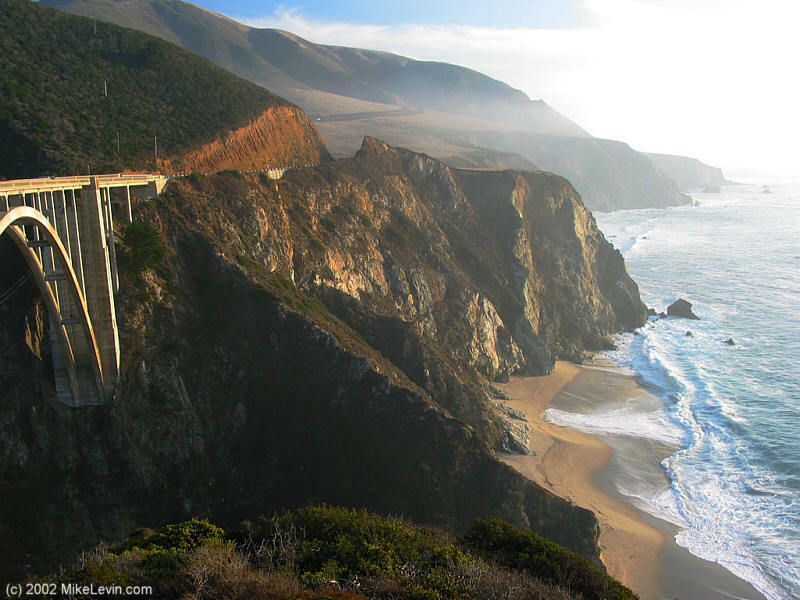 Pacific Grove, Monterrey, Carmel….. Big Sur… these places are like heaven on earth. Nothing comes close. Nothing. The Santa Lucia Mountains crash into the ocean in a series of dramatic cliffs and gullies, giving way to an incredible spectrum of wildlife, plant life, massive rolling waves, and of course marine life. Within 1 mile of each of each other you can find giant redwood groves and naturally occurring cactus. The air is perfumed with the smell of wild sage and lavender. The bay itself is home to an incredibly complex ecosystem. Very deep water quickly rises to the shore, providing a constant supply of cold, nutrient rich water. This also provides a cool climate to the surrounding land, with much more rain than, let’s say, Los Angeles. Hence, wine production is great, and the agriculture is somewhat unique. The cuisine of Monterrey Bay is focused on two things: indigenous seafood and local produce. For me, this means 4 things: Dungeness crab, sanddabs, calamari and the great artichoke. Eating grilled artichokes and fried calamari while drinking Carmel county wine overlooking the ocean is a pleasure everyone should have. It’s one of those things that seems to heal the soul. Who cares about work when you’re overlooking the sun setting on Monterrey Bay, listening to the waves crashing while the mountains are silhouetted behind you? Of course, my time in Monterrey was spent working… I worked at the Lodge at Pebble Beach, which of course hosts the famous golf mecca, The Links at Pebble Beach, Spanish Bay, Spyglass, and so on. It’s hard not to be a 5 star place sitting on that little corner of earth. But I like to think they did it right, and I learned a lot. I have only good things to say, and a good recipe to share. Turn the artichokes, keeping the stem intact and applying lemon each time a cut is made (youtube for lessons in this). Keep artichokes in a water/lemon juice bath until ready to cook. In a steep sided saute pan, add the onions, thyme, celery, artichokes and butter and begin to saute. When fragrant and slightly caramelized, deglaze with white wine and add lemon juice. Season with salt. Reduce by half, and add all other ingredients. Cover loosely with parchment paper, cutting a small hole in the middle to let steam escape. Cook over low heat until artichokes are tender. Remove from liquid and let cool. Strain the liquid and reserve. Reduce the liquid until almost dry; very thick. Place in a bar blender and add honey and mustard. Add lemon juice, salt and pepper. Turn blender on and drizzle oil (slowly) until emulsified (thick). 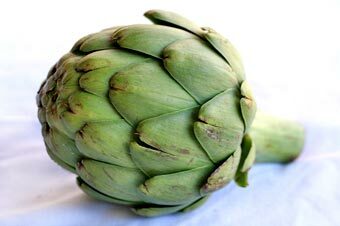 Cut the artichokes in half lengthwise. Marinade the cooked and cooled artichokes in this vinaigrette. Heat a grill to high heat. Clean grates and rub with cooking oil or spray with cooking spray. Remove artichokes from the vinaigrette and grill until slightly charred and slightly crisp. Return the artichokes to the vinaigrette and serve. I love to serve this along with ripe tomatoes and some sort of shellfish (raw oysters, grilled clams or crab legs). Olives also work well. Try a big oakey buttery chardanney or a good Riesling. The flavor is exquisite; a true delicate balance. It’s a little slice of Monterrey Bay and I hope you enjoy it as much as I do.